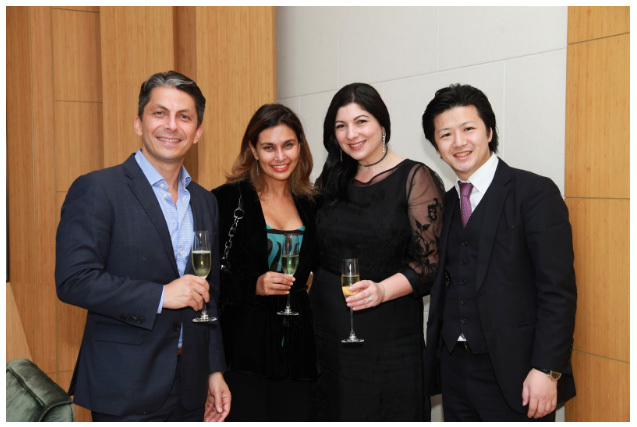 Thursday, January 19th, 2017 saw an exclusive media luncheon followed by a VIP event to showcase the official launch of Narcisa Pheres for Jewelry Maki in Hong Kong. Both events took place at Sky Lounge, a venue that beautifully overlooks the Hong Kong skyline from the 49th floor of The Upper House. Jewelry Maki is one of the oldest Japanese diamond jewelry houses with more than five decades of history in the Japanese luxury market and with over 25 stores across Japan. In November 2016, Jewelry Maki appointed Narcisa Pheres as Creative Director, aiming to bring the company on the international scene and bridge cultures together due to Narcisa’s heritage, international exposure and understanding of Japanese culture. 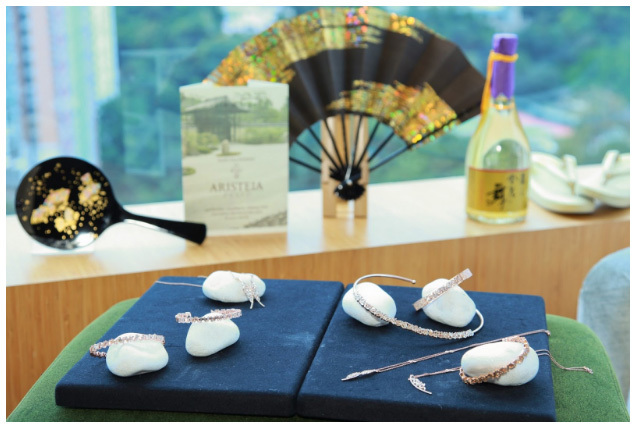 In keeping with the Japanese inspired theme, the media luncheon event was infused with Japanese elements such as a tailored and personalised Japanese menu for media guests with Geta, hand fans, gold-infused sake, Japanese hand-made engraved chopsticks and a 0.1ct diamond nail polish by Camellia distributed by Miki Corporation. During the luncheon, Narcisa Pheres for Jewelry Maki debuted their collection titled ‘Aristeia by Narcisa Pheres for Jewelry Maki’. The collection was influenced by the Japanese philosophy of wabi-sabi and was comprised of a scintillating amalgamation of jewelry pieces that also had a European touch and a modern twist in design. 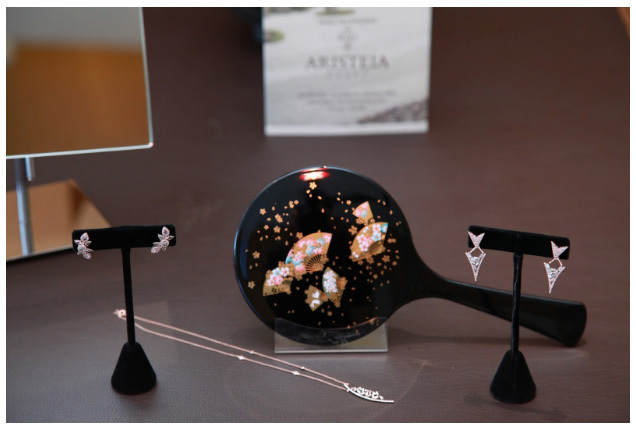 Following the media luncheon was a VIP event where VIP guests enjoyed afternoon champagne and afternoon tea with the creative director as they were taken through the journey of the Aristeia Collection. With Hong Kong being one of the primary global launch pads for Narcisa Pheres for Jewelry Maki, Pheres aspires to bring the brand back to its glamour and prestige with also reclaiming the luxurious sensation Japan associates with diamonds, gems and fine jewelry. Being a global citizen and constantly traversing around the globe, between Milan, London, Tokyo, Hong Kong, Paris, New York and Los Angeles, Narcisa Pheres continues to build a successful luxury empire eminent internationally.